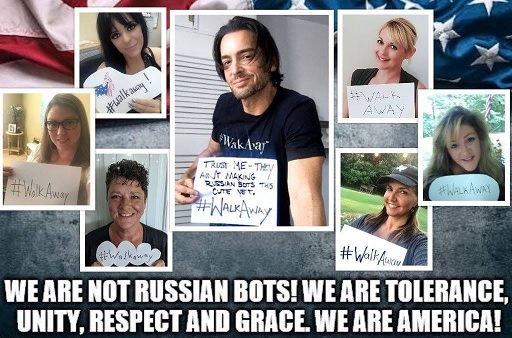 The Mass Awakening In The Viral #WalkAway Movement Is Panicking Democrats Who Are Now Screaming "Russian Bots"
A gay hairdresser from New York created a powerful video explaining why he felt the need to #WalkAway from the Democratic party. Other social media users started using the hashtag #WalkAway, all delivering their testimonies as to when and why they had walked away from the Democratic party that has taken a sharp and sometimes violent turn to the radical left. The basic theme in these testimonials is that these former liberal Democrats had become disillusioned with the party, while encouraging others to simply #WalkAway as well. Brandon Straka, the founder of the #WalkAway movement joined Judge Jeanine Pirro on Saturday for an in-depth discussion as to why he chose to just walk away. After explaining that he voted for Hillary Clinton in 2016, crying publicly when she lost, he then explains how he discovered how the media manipulated people by selectively editing Trump speeches and reported things Trump had said while a candidate, totally out of context. The interview is quite enlightening and is embedded below to understand why this movement has gone viral, and why it is resonating with people just like Straka. Listen to him below before we get into the point of this article, which is how panicked Democrats and the liberal media is over how huge this movement is becoming. Recently we showed how liberal writers, panicked over how big the #WalkAway movement was becoming with tens of thousands of social media users using the hashtag #WalkAway, were already converging on their narrative to control the fall out for the Democratic party. Blame Russian bots! Using two websites, created after the 2016 election, one by a group of NeverTrumpers and another by a liberal Hillary Clinton supporter who has an extreme hatred and bias against anything "Russia" related, Arc Digital Media declared the #WalkAway movement was a "deceptive propaganda campaign," being pushed by Pro-Trump and Russian-linked Twitter accounts. That determination is made by citing the NeverTrump/anti-Russia site Hamilton 68 and another supposed bot tracking site Bot Sentinel. Long story short, the sites falsely "label" real people as "bots/trolls " then every time those real people use certain hashtags like #MAGA or #WalkAway, they claim that is "proof" that the movement is not real, not as huge as it is, and is being elevated by bots and trolls. The Arc Digital writer, a self-identified Feminist and liberal, is not the only one converging on this narrative as the liberal website Huffington Post is also pushing the same theme, using the Arc Digital article, and the same flawed anti-Trump websites to "prove" their case that "Russian Bots Linked To Viral Twitter Attacks On ‘Hateful’ Dems." It what may be an early onslaught of Kremlin-linked Twitter attacks ahead of the U.S. midterm elections, Russia bots appear to be fueling a wave of criticism targeting Democrats over alleged intimidation in political confrontations and a lack of “civility,” according to bot trackers. Attacks with the hashtag #WalkAway purport to be from a “grassroots” wave of one-time Democrats who have left the party in part because they say they are so incensed by the hateful and divisive behavior of party members. The message is to “walk away” from ugly confrontations, “intolerance” and hate — and from the Democratic Party. But the hashtag has been connected to Russian bots. It has ranked as the third or fourth most popular Kremlin-linked hashtag for days, according to bot tracking by the Hamilton 68 site run by the bipartisan Alliance for Securing Democracy, which keeps tabs on Russian activity on the American internet. Granted, bots exist. Hashtags both liberal and conservative themed are amplified by a certain amount of bot activity, but citing "Russian-linked" accounts, as described by Hamilton 68, when they have never provided one bit of proof that any of the accounts they track are really linked to Russia in any manner, basically just saying "trust us" they are, is nothing more than a manufactured scapegoat to discredit anything that doesn't fit the official narrative. Create a website, label real people as bots with absolutely no proof they are bots, have the media cite your conclusions so you appear to be some type of authority, then any time something becomes popular that doesn't fit the media agenda, claim it is those "bots" that are responsible. The problem these liberal websites, and Democrats are having is that more and more of these falsely accused "bots" are now proving to be real as video after video of real people, are starting to be published and slapped on YouTube and in the #WalkAway hashtag on Twitter. Obviously not "bots" as they explain why they have previously, or are now, walking away from the Democratic party because of how radical, and in some cases, violent, the party has become. These are real people, not bots or trolls. Former Bernie Sanders supporters that became Clinton supporters. People that voted for Barack Obama then walked away from the party to vote for Donald Trump. Testimonials from people who walked away from the Democratic party years ago explaining why they did so. The two videos above are just a couple of examples of the dozens upon dozens, if not hundreds of videos being published, of real people who make up a small portion of the #WalkAway movement, people that liberal media outlets cannot label trolls or "bots," because they are speaking out, not from an anonymous Twitter handle, but on camera. Here is someone else that is not a bot or a troll. A New York State Assemblyman, who is still a Democrat, but is so incensed by Democratic politician talking points that refuses to acknowledge any of the good happening under the Trump administration, that he has declared in an open letter in response to a fundraising email he received from Senate Minority Leader Chuck Schumer: "Senator Schumer, as a fellow Democrat, I ask you to work to restore sanity and honesty to our party so I can feel good about supporting it fully. Until then, I’m afraid the Republicans have my support." In a poll referenced in USA Today in late June, we see that Joe Biden and Hillary Clinton, are the two top favorites by Democrats to try to unseat President Trump in 2020. Others observing behavior on the part of Clinton believe her actions indicate that she is planning to run for President again, which certain segments of the liberal blogosphere seems to be in favor of. 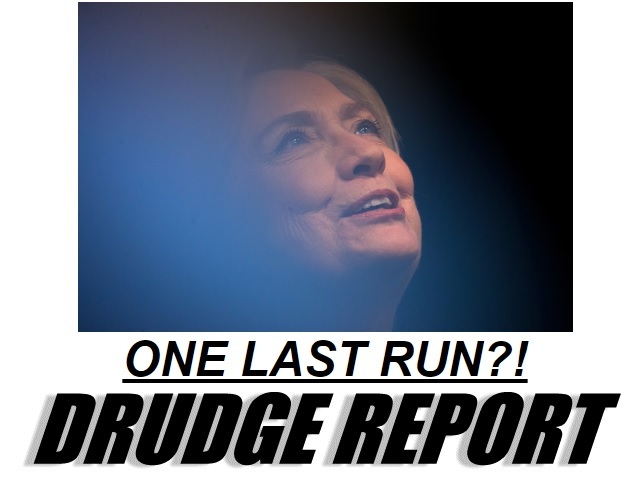 First: Millions of Bernie supporters, turned Clinton voters, will #WalkAway if the Democratic party even hints at supporting another Clinton run. After the election when it was revealed that the DNC actively worked in favor of Clinton and against Bernie Sanders to rig the primaries in her favor, Sanders' supporters were, and many still are, livid. They will walk away..... by the tens of thousands. They may not vote Republican, but it may depress the vote because they may walk away from voting at all. Second: If former VP Biden and Clinton are the top contenders, as the USA Today piece observes, than the Democratic party has already lost. While I have noted some very bizarre behavior from the party of "Abolish ICE," open borders, encourage violence against political opponents, I cannot make myself believe the Democrats would even consider allowing Clinton to obtain the 2020 Democratic presidential nomination. Nobody could be that stupid... could they? The #WalkAway movement is relatively young as far as historical movements go, but in watching "news" about it, as well as the social media response, and the increasing number of "real people" creating videos to explain why they have, or are, walking away from the Democratic party, we note this movement has already surpassed the effectiveness of the #Resistance movement, which is now full of radicals encouraging harassment, physical confrontation and violence. It appears as if the #Resistance movement has actually fueled the #WalkAway movement. The liberal media narrative to label those participating in the #WalkAaway movement, as trolls or Russian bots, has already backfired as we see many people already preparing for the media pushback against the movement. For any readers that were at any time a Democrat, feel free to leave your own #WalkAway testimony in the comment section.